Non-surgical hair replacement system process can give back your hair to a normal stage. You can enjoy natural-looking results, without any effect change in your daily routine. It allows you to carry on your daily routine hair actions like coloring, haircut, and styling for the desired look. 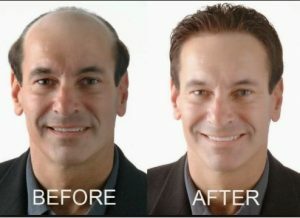 You can get here the best Non-surgical hair replacement system treatment and an ordinary and very natural products. Ordinary and natural products are scientific and specific to your requirement. Overall, which product would you use which provides the Non-surgical hair replacement therapy based on the analysis of your scalp and meets your exact necessities?. You will not suffer from non-surgical hair replacement side-effects. Our team of experts performs the analysis, take hair samples. And understand the specifications and scalp condition. Non-surgical hair replacement forms the basis for defining the right modified for you. Then, this data is sent to our International Design Centre. Delhihairloss.com is the International Design Centre puts together this data to make a model.